Fumbling around the internet for cookie recipes or cake recipes made with lower amounts of sugar, seeking the What Happens When of reducing sugar in a recipe, trawling the sea of information for specifics that could only really be found in the mind of a food scientist or seasoned pastry chef, I bumped into Tuesdays With Dorie. 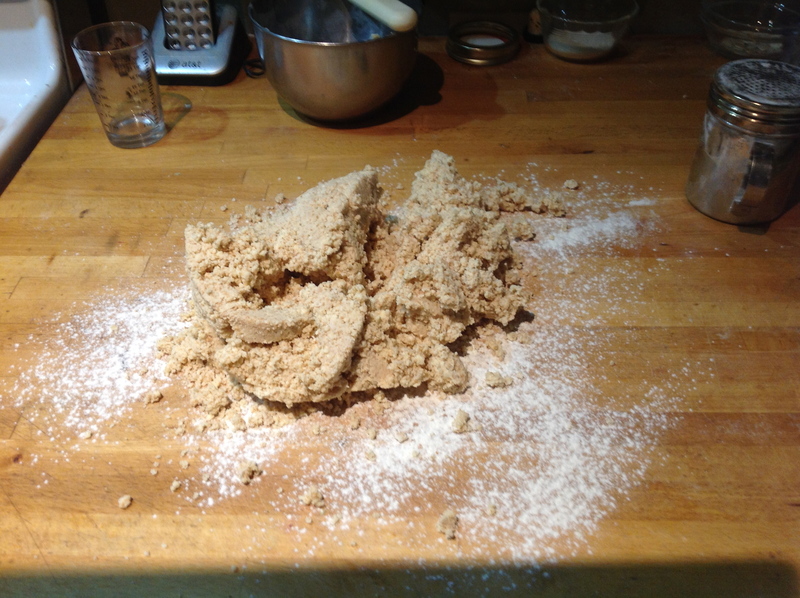 Tuesdays With Dorie is a blog designed for people with blogs wishing to work through the recipes of Baking With Julia, and other books by Dorie Greenspan, over the course of a year, posting results on, yes, a Tuesday. As usual with internet searches, this was not what I was looking for but, intrigued, I signed up. I got the green light from the TWD élite in time for a March start. I have owned Baking With Julia since purchasing my First Edition copy the year published, in 1996. I had fallen headlong in love with cooking and baking, was taking classes, feeding family and friends and coworkers, dreaming of little cafes. This book is a companion piece to one of Julia Childs’ PBS cooking shows. The series filmed in her kitchen, has the illustrious Julia keeping company with a variety of breadmakers, pastry chefs, restaurant owners, cookbook writers, each creating some of their signature baked items for her. I never watched many of the PBS episodes but have fiddled with several recipes in this book. For any number of reasons with me and cookbooks, I found the 2 or 3 recipes that became standards, and have rarely picked up the book since. Tuesdays With Dorie sounded like a motivating way to give the book another look and write more posts here. 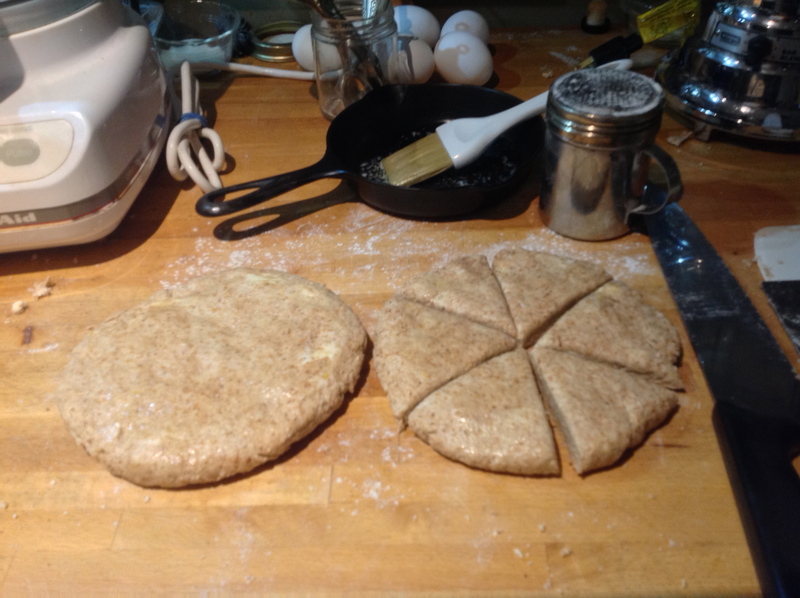 Happily, the first assignment for March is one of my standards: Buttermilk Scones. 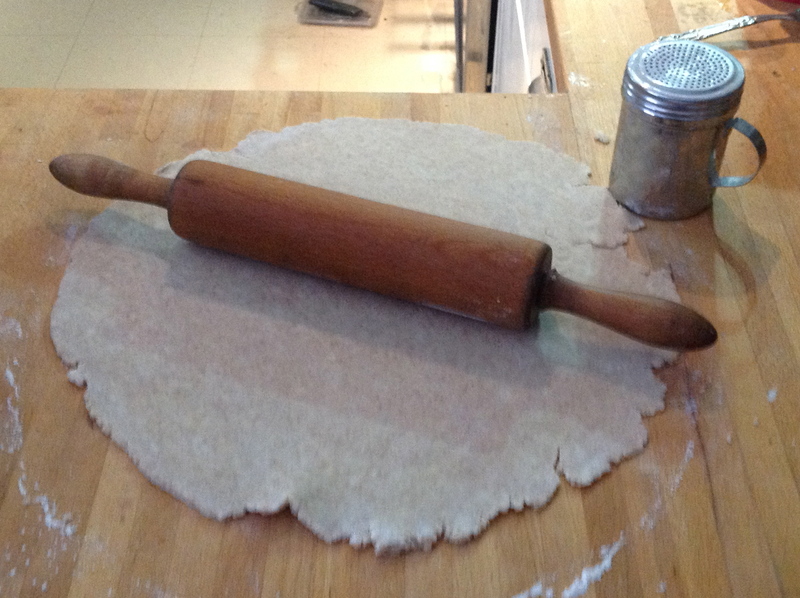 The original method calls for combining the dry ingredients in a large bowl, and for working in the cold butter with fingers, a pastry cutter, or a knife & fork. 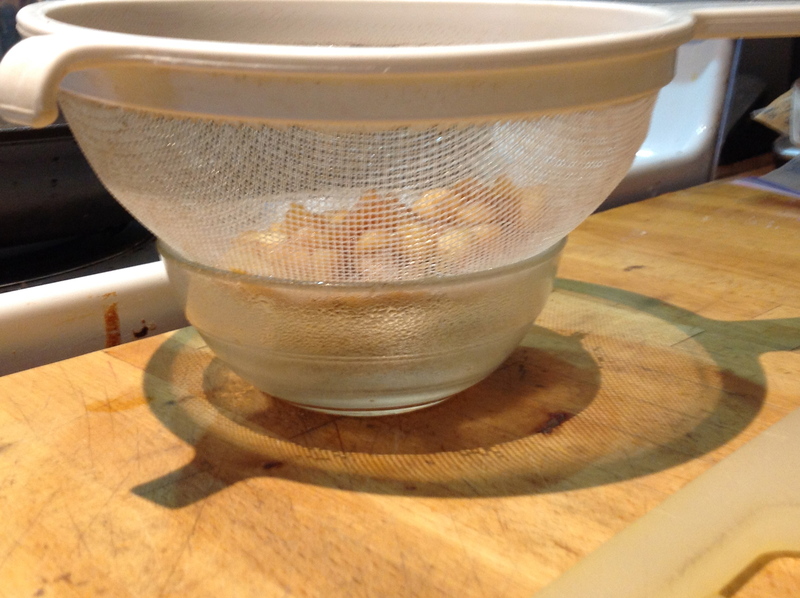 I am comfortable with this method, but usually use a food processor for this first step of the process. 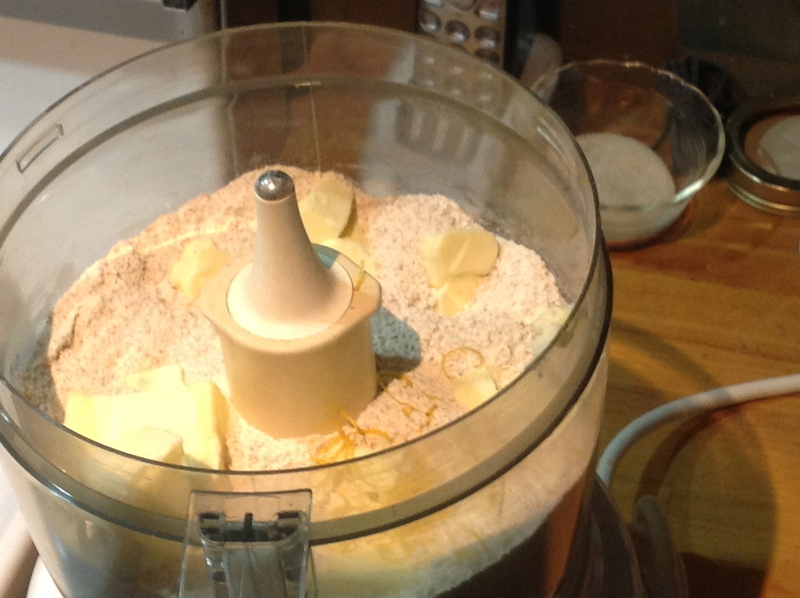 A food processor is powerful, so pulsing the mixture into a coarse meal happens in less than a minute. 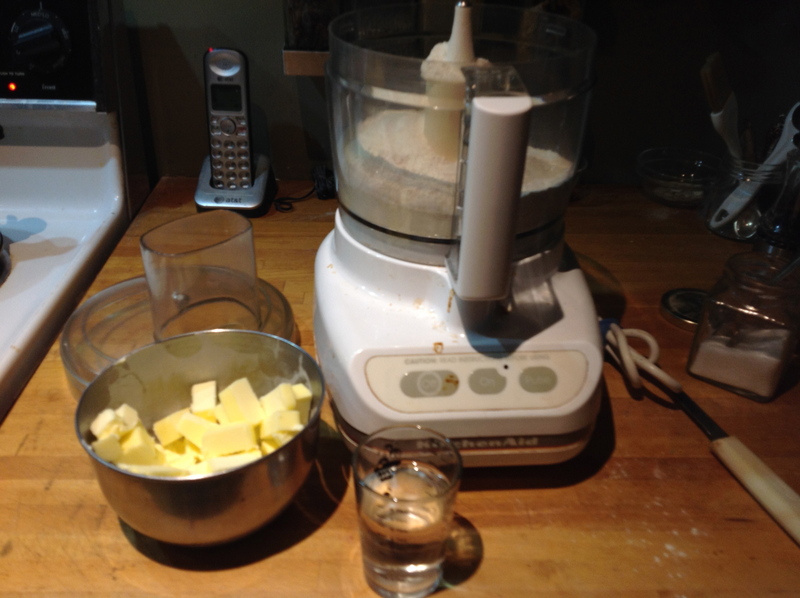 I am able to keep the cold butter away from my warm hands, processing it quickly so it stays cold. 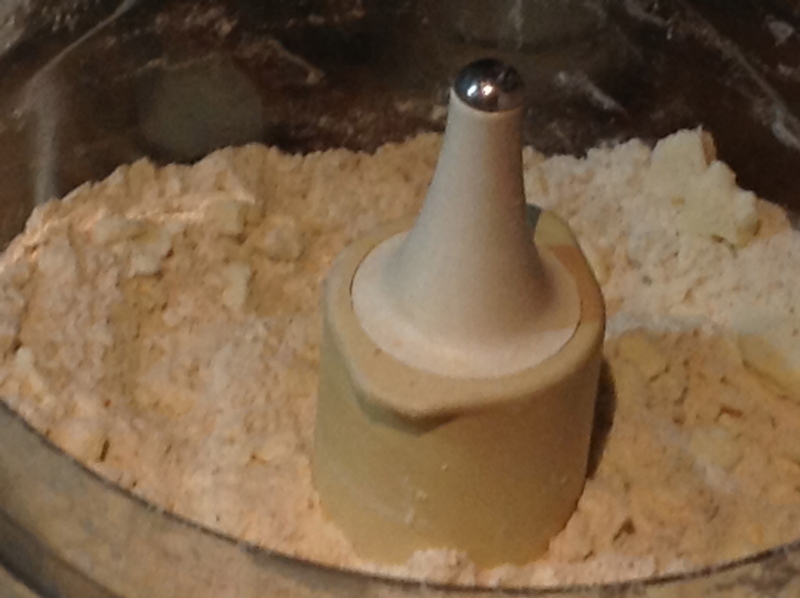 At this point, I pour the flour/butter mixture into a mixing bowl before adding the liquid. As these scones are Buttermilk Scones, the recipe calls for buttermilk. 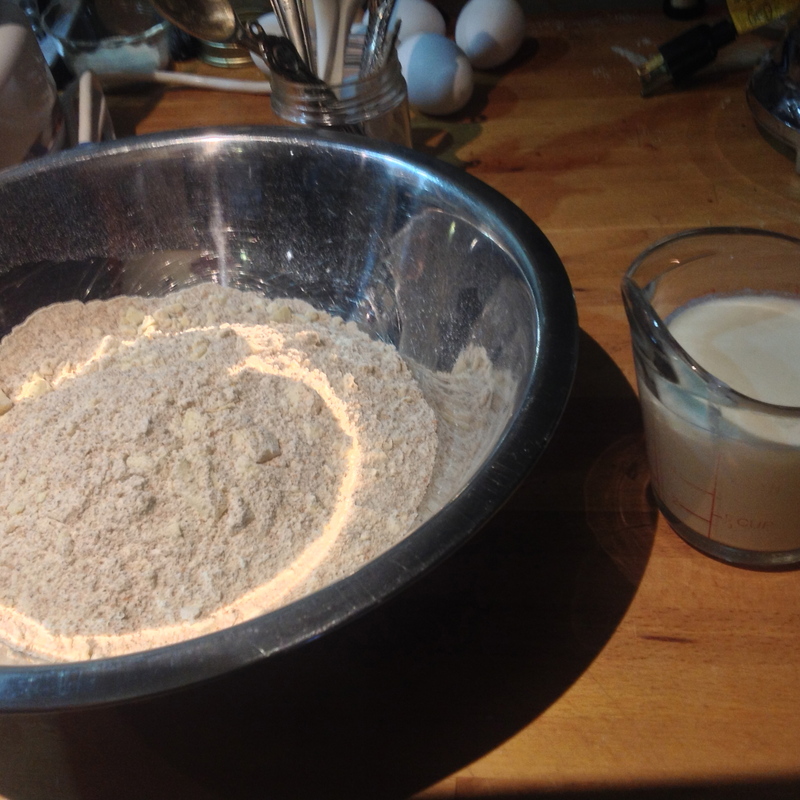 When I have buttermilk on hand, I always save 1 cup for scone-making. The slightly sour, thick liquid works a magic with the other ingredients. When I don’t have buttermilk, I can use 1 tablespoon of vinegar + enough milk to make 1 cup total. 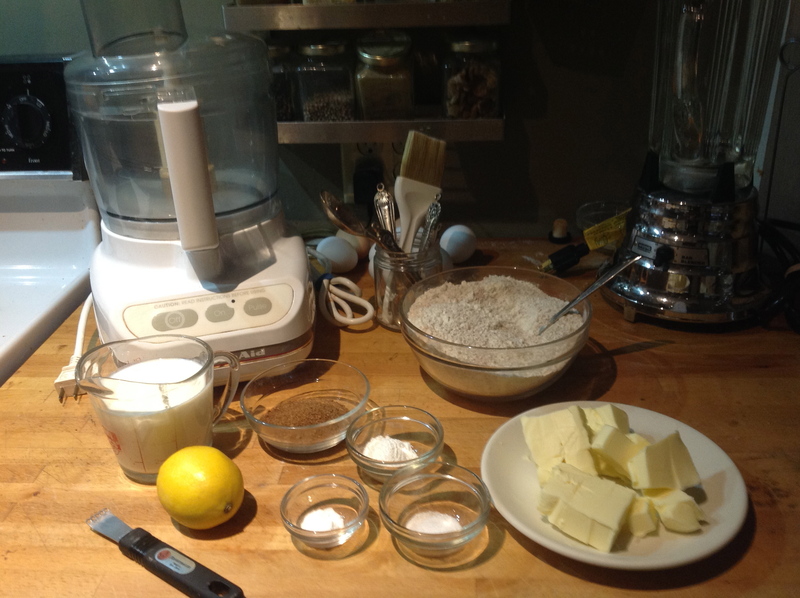 The recipe calls for lemon or orange zest to be added along with the buttermilk. 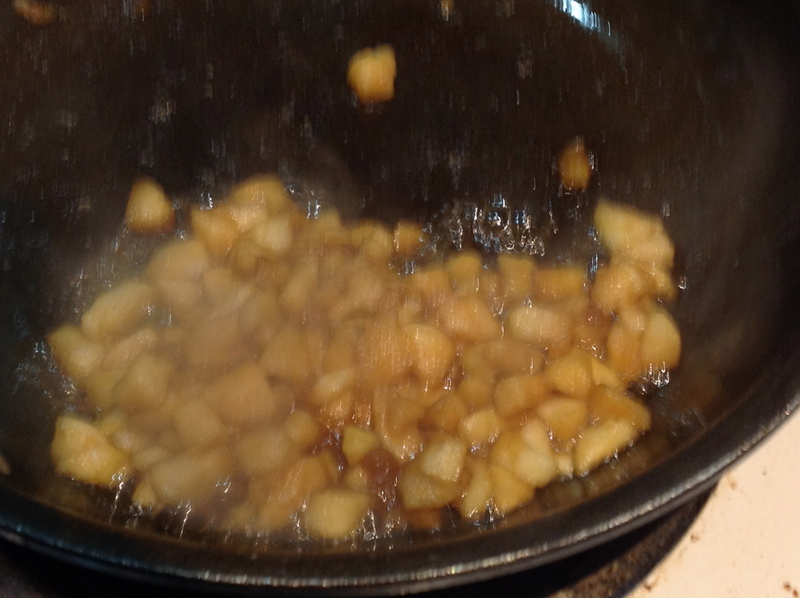 I zest the fruit over the food processor bowl instead, letting the long strands from my zester pulse with the butter. 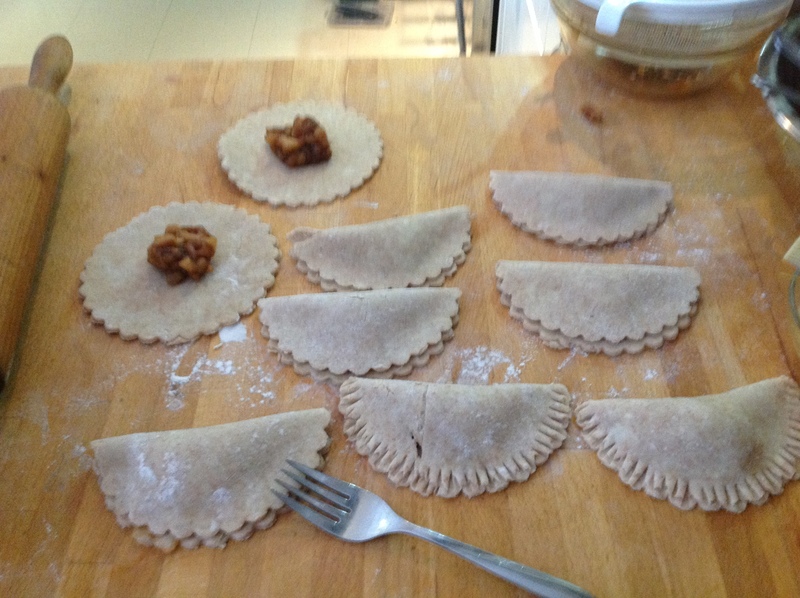 Also at this point, you can add a few currants or other diced plump dried fruit. I have even mixed in blueberries or pieces of firm pear with great success. I mix the flour and milk with a fork until combined. 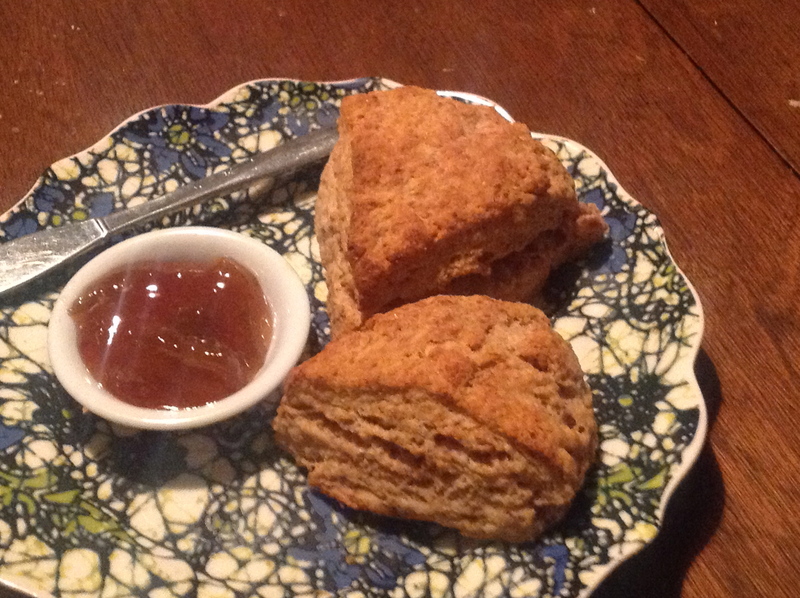 Like biscuits, scones don’t want to be overworked. 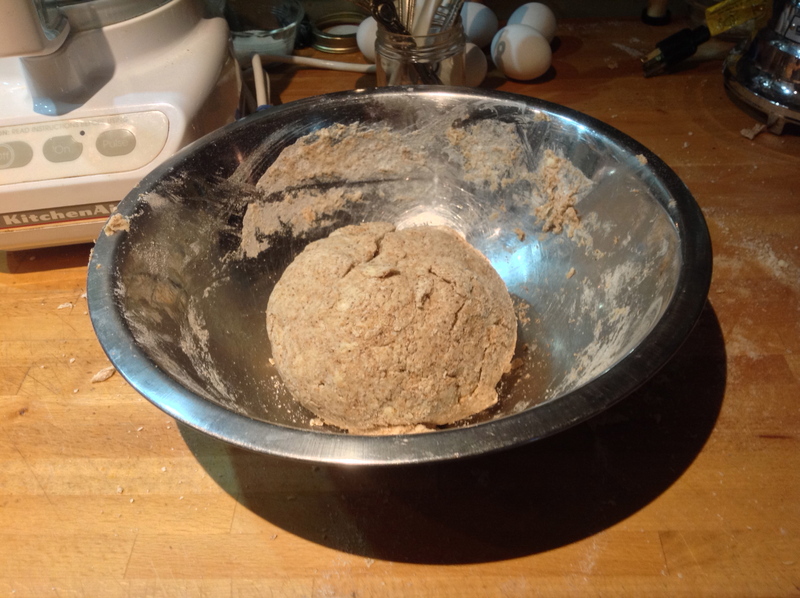 While still in the bowl, I work the dough/batter with my hand, kneading gently until I can gather into a ball. 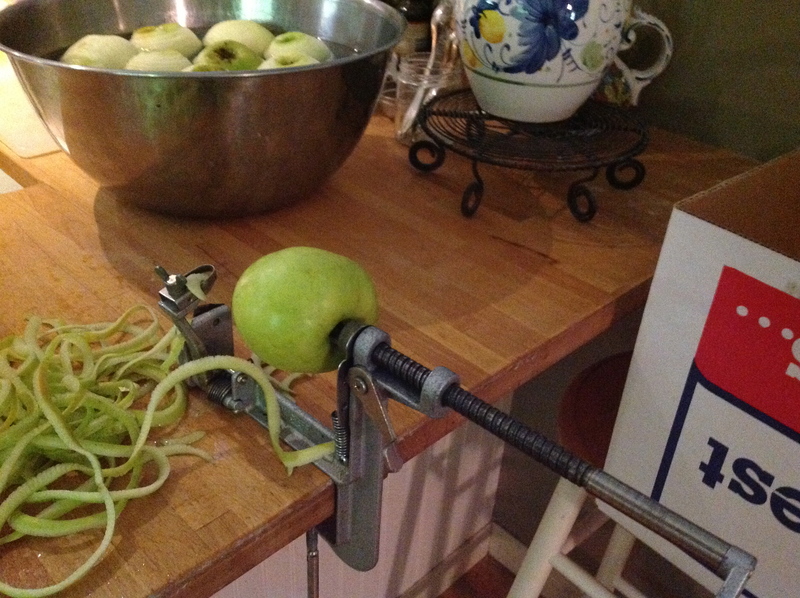 Ready for the work surface. 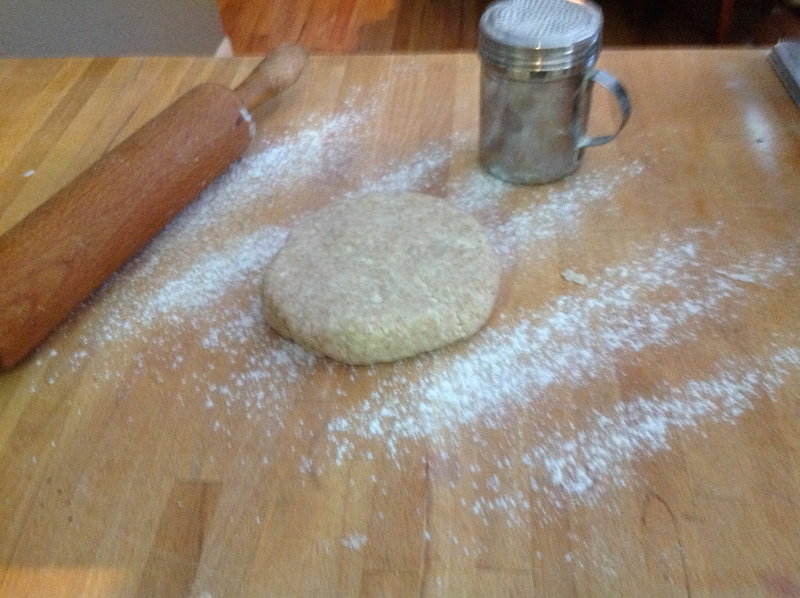 On the counter, I gently knead the mass for 2 or 3 more turns. 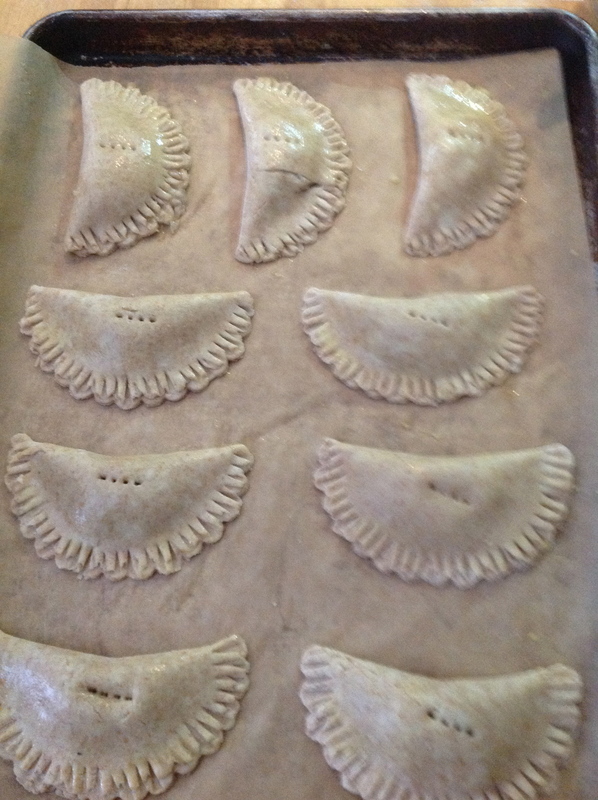 The ball of dough is then divided in half, flattened into disks, brushed with melted butter, and cut into wedges. The disks should be 6- to 7-inches in diameter. 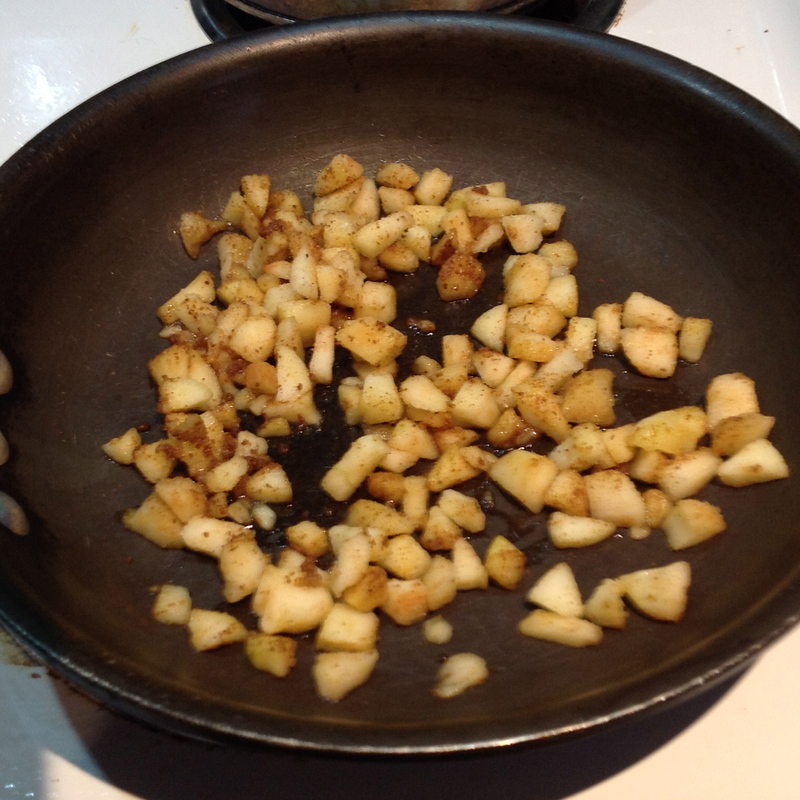 You can also sprinkle extra sugar over the brushed-on butter. 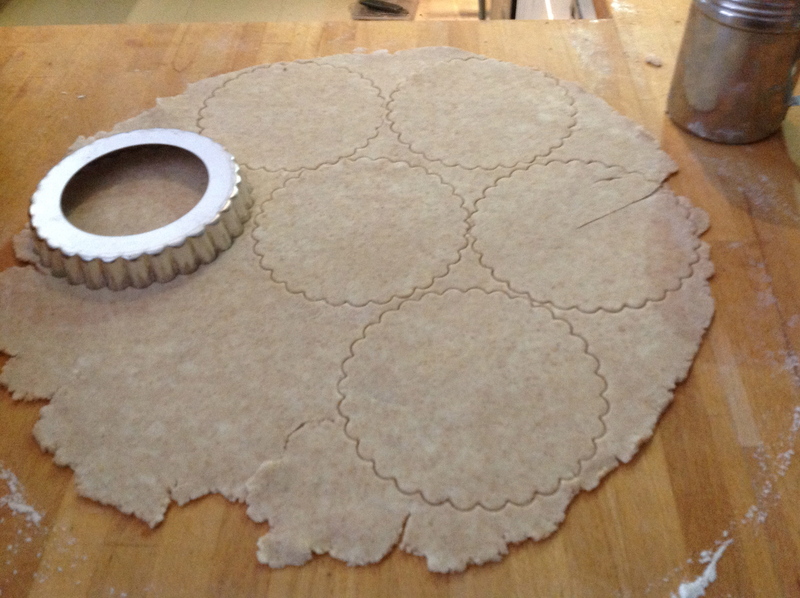 For tiny scones, I create 3 disks instead of 2, with a diameter of 4-inches or so. This makes a nice size scone for a tea-tray. 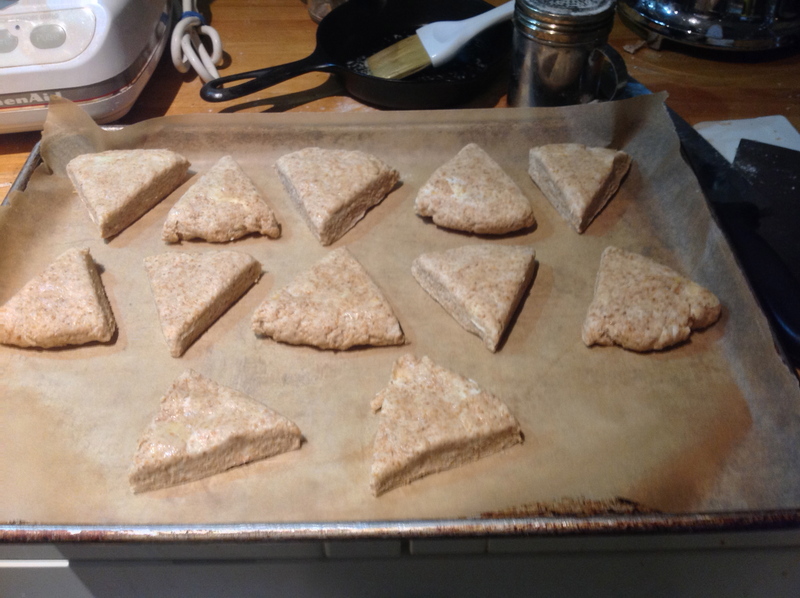 With all the cut scones positioned on a parchment-lined baking sheet, we are ready for a hot oven. These scones only bake for 10-12 minutes. The hot oven of 425F gets the cold butter melted, leaving little caverns for the steam and leaveners to push out further. 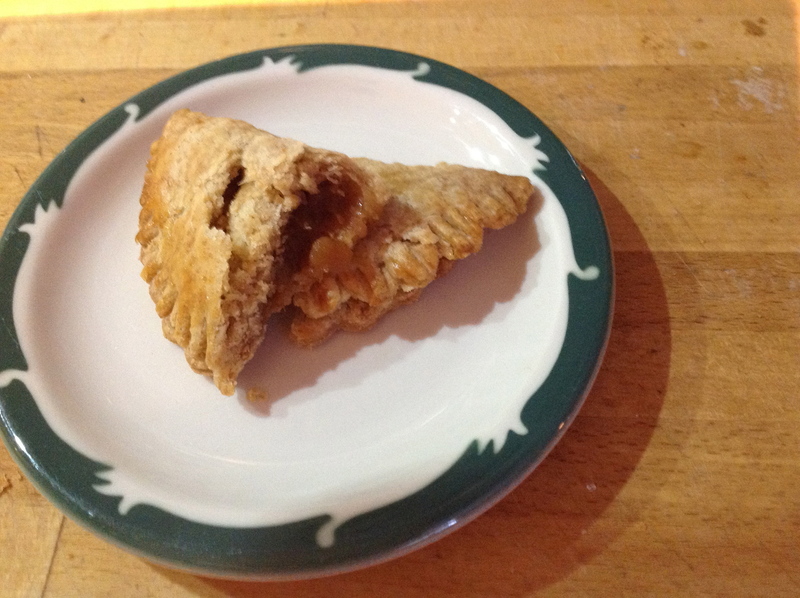 The result, even with the whole wheat I use, is some lovely light, flakey, crisp outside, tender inside just-baked yum. With the light glistening off my mirabelle plum jam, I will excuse myself now to go enjoy some Baking With Julia goodness.